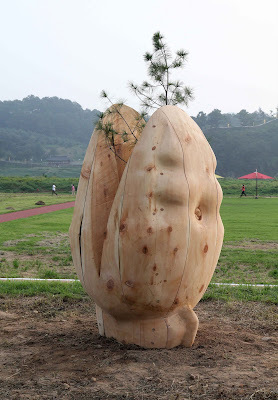 Geumgang Nature Art Biennale was first held in 2004 and again in 2006 and 2008. This year it is titled “Nature and Peace." Yatoo was founded almost 30 years ago in Gongju, in the Chungnam Province, 150 km south-west of Seoul. 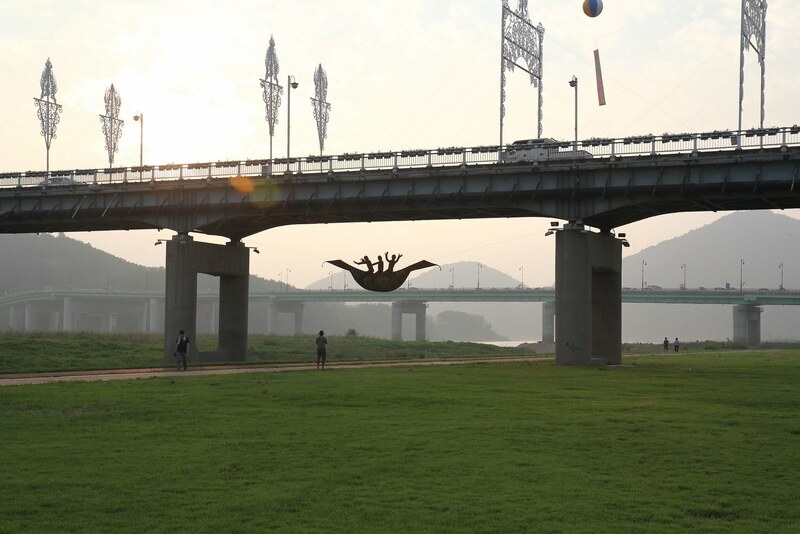 Yatoo, is the name of the Korean Nature Artists Association which organizes the Geumgang Nature Art Biennale and means "Thrown into the field". The Korean artists use the term “thrown into field,” because, as Koreans, they feel the responsibility for nature is theirs. Why? 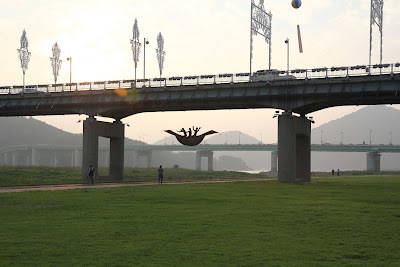 Korea is a unique country in many ways. As a technically advanced society, it lives collectively in respect for ancient culture and nature. It requires individuals to responsibly share their experiences abroad, to learn from other cultures how to honor nature because many countries have this problem now. 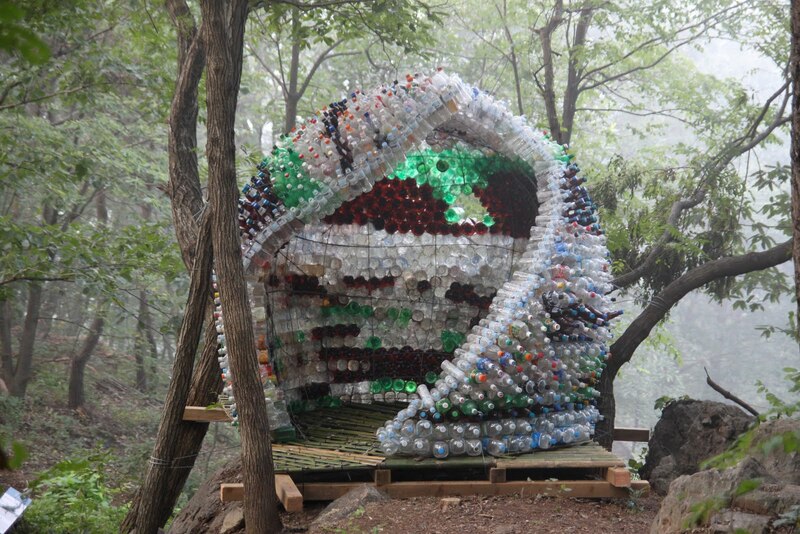 This has resulted in Korea being one of the largest Land Art or Nature Art centers in the world. Within the exhibition's title, and the rhetoric of the artworks is a reflection of how people could behave so as not to discourage or disrupt other species, the way they have discouraged swallows. How can one live in harmony with the whole of nature? Art gives us advice in finding answers to this sticky question. Trees, water, light, sound and even wind become a part of the artist‘s installations. They will be standing on site for some time and the site will change its form and structure with help form nature itself. The whole process can be observed in the park and at the Geumgang riverbank throughout the year. The combined rich and diverse histories of this year’s participants guarantees a high level of quality work. We have 15 artists from 13 different countries: Ghana, Cameroon, India, Poland, USA, Germany, Peru, Philippines, Netherlands, New Zealand, USA, Canada, Hungary, Bulgaria and Japan, and 12 artists from the host country, South Korea. The character of each creator’s piece is shaped by the unique culture, history and geography of his or her country of origin. Each piece is also marked by the artist’s specific relationship to nature. It is not surprising that the installations differ from each other to such an extent. Nereus Patrick Cheo, Cameroon (above), was inspired by debris washed up onto the beach by the Atlantic to create “The Watch Tower Kiosk.” He used found plastic water, beer and soft-drink bottles to make an open structure which talks about a worldwide problem: A great majority of the world’s population consume water and drinks from these bottles but at least half of these bottles are never recycled. 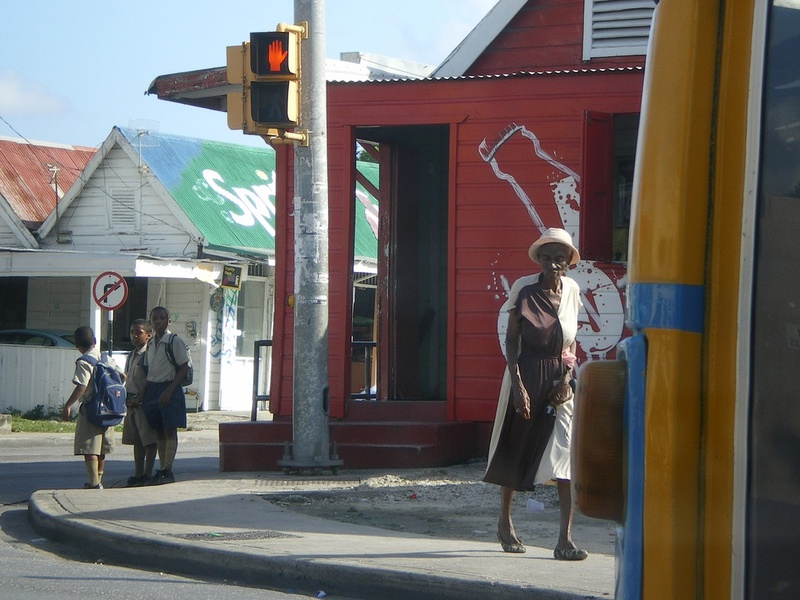 His project entailed the construction of a Kiosk-like shape 5m high and 3 x 4m wide. 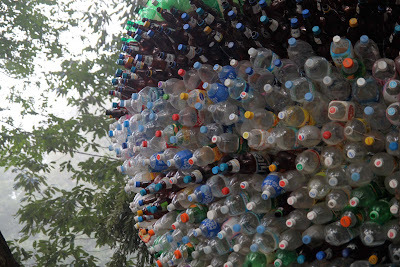 The kiosk is a dome shaped sculpture beautifully created from used bottles woven together with wire on a base of bamboo, wood and nails. Utilising the bottles as an artistic statement, he has given them a new life.The work offers an opportunity for attention, care and open vistas for reflection on how we interact with our environment. For Roger Tibon, Philippines (above), the watchwords "nature and peace" are a metaphors for a journey uniquely associated with the boat. This is not surprising considering that the Philippines are comprised of more than seven thousand islands. 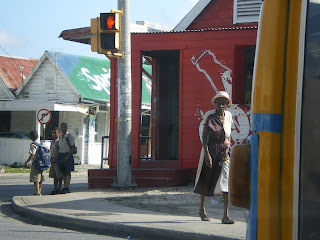 Many of them are inhabited by people who have never left them, and often travel by boat. The boats are more than just a way of movement and communication for them. 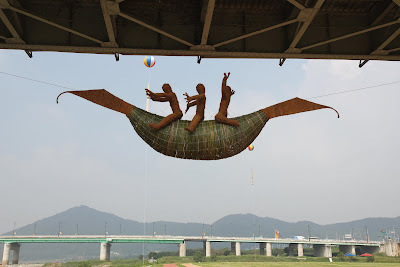 The boat, with three figures on it, has been installed hanging under one of the cities bridges enabling many people travel over this traveling symbol. Of course the real contemplation begins when we reach a beautiful riverbank and silently, listening to sound of the water and gaze at the sculpture from a distance. New Zealand artist, Donald Buglass’ Cell (above), relies on the beauty of physics to hold itself up. Cut sections of tree trunk support each other and demonstrate a link between the constructive tendencies of humans and the environment. “Cell” represents the beauty and balance of nature. It is the cells of plants, nucleus of an atom or, perhaps, the rising sun. At the same time it portrays a fundamental shape for shelter (in this case, one we are excluded from) and the peace and security that this might otherwise offer us. 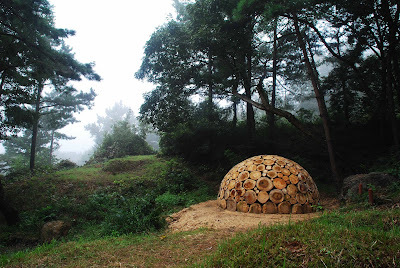 His work also has underlying references to the ancient graves at Yeonmisan. Karen Macher Nesta (above), Peru, is an artist who believes in specific interaction between mother earth and Her inhabitants. In the ancient beliefs of her country, the land must be respected. Consequently people offer gifts to nature: fruit, animal blood, coca leaves etc., asking Her to be more fertile and calm. Earthquakes are also in her nature, and if it comes to this kind of disaster it means that She is angry. The artist used rabbits as a symbol of fertility because of their fast reproduction capacity. 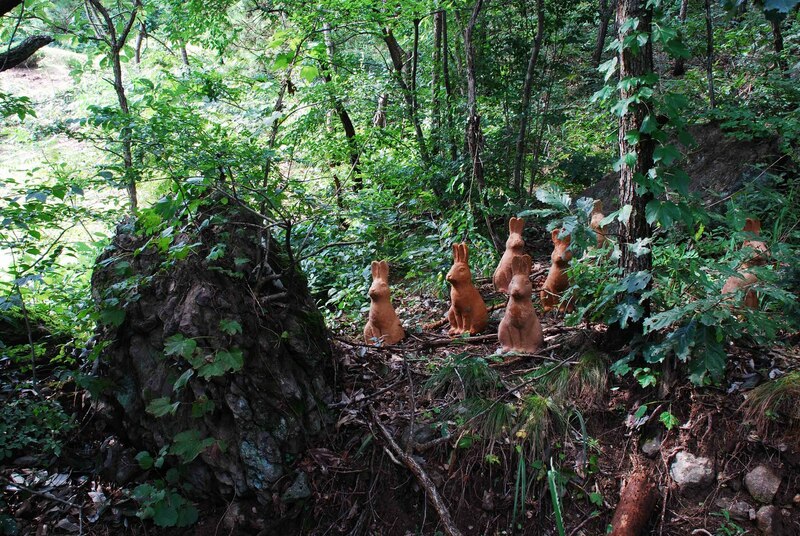 The rabbit figures were made from clay, and were designed to last for a short period of time in order to return to the earth where they came from (some cement has been added to extend this period). Over thirty larger-than-life rabbits are located around main path in the Ecological Park. 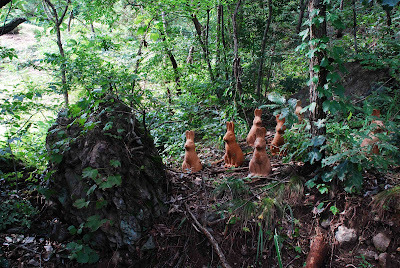 The rabbits will eventually disappear and be absorbed into the forest floor. The work of Pawel Chlebek Odebek, Poland, refers to central values such as family, love and care. In “The New Generation” (above) the artist points out the mystery of new life and implies its dependence on our care. The art-work is a pine sapling planted in soil between the two large opposing torsos, male and female. Eventually the project will result in the interaction between the carved form and nature’s power (as the growing tree trunk expands). Time is co-creator of this piece. For these artists, nature and peace are much more than just words. The full article is published in the second issue of WEAD magazine online HERE. 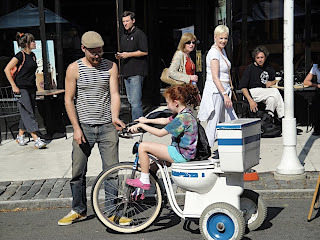 Freespace is an exploration of the relationships built between people and place, may they be urban, suburban or rural. It looks to inhabit the everyday space, the space that once was, and space that is constantly in between. The objective is to develop a network of sites, through partnerships with individuals and communities, to elucidate experiences of ownership, privacy, sustainability, and identity. This process begins by asking about spaces that have meaning to you - may it be a vibrant moment from your past, a rethinking of a space that is familiar to all, or a curiosity along a walk. The project seeks out these spaces, using the public’s own intimate experiences. You are then able to donate to the site to Freespace through text and images, eventually being posted to a website that situates the location within a larger global network. By creating an archive of the meanings that connect people to place, relationships are built that reveals memory and challenges identity. Once the collection is defined, each site will become a node in a program to reconnect people with in space. Tours, site visits, and narratives will provide ways for engagement and expanded connections. The concept for Freespace came while sitting at the summer home of the Vanderbilt Family in Hyde Park, NY, now a part of the National Park System. The space defines a relationship with place that most will never see or experience. The question of how this space represents the United States comes to mind? Even more specifically how does it represent my own experience? Where is the National Park site of the every day person? The ranch home or the suburban neighborhood comes to mind. What about spaces of decay? Empty lots are spattered across post-industrial cities. Going further, might we think of something more intimate, more private? Could a park reside in a memory, consist of a favorite chair, or the space between ones fingers? 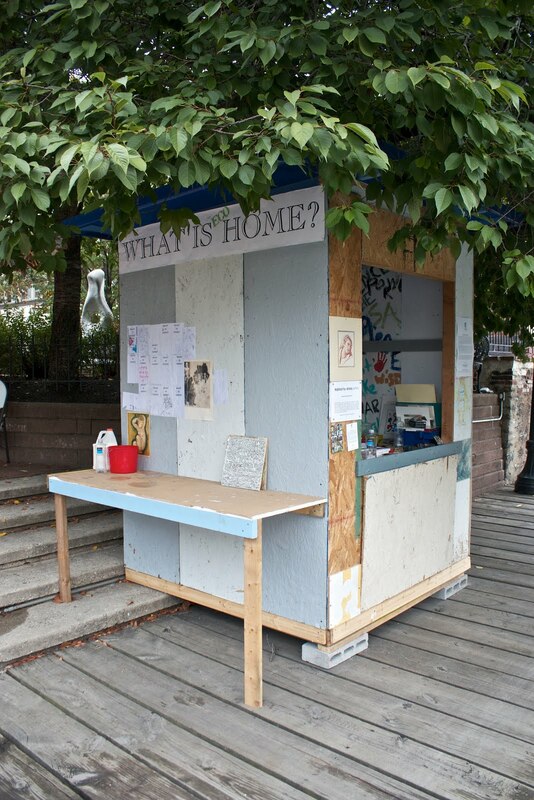 Freespace asks the public to seek these spaces, defining them from their own perspective. They may be conceptual, textual, or physical; and range in size from micro to macro. 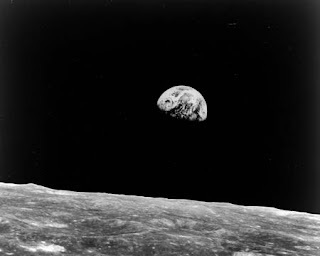 The project looks to engage the range of associations that people have with space, building a collection of unique environments that take on further meaning by the fact that they are described, located and catalogued. In the end what will be defined is a breadth of perspective that shows the vitality of peoples relationship with what is around them. On October 9/10th Freespace will be a part of the Conflux Festival in NYC. 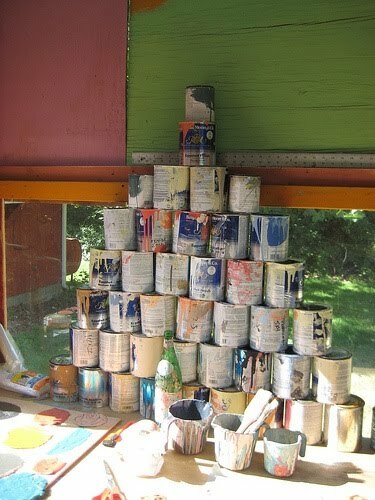 Matthew Slaats is an artist based in the Hudson River Valley exploring community based artist practice. Recently I’ve been traveling back and forth to Philadelphia working with five artists who are installing temporary public art projects along the Manayunk Canal in Philadelphia. These projects opened on September 25th and 26th in conjunction with Destination Schuylkill River and the Manayunk Eco Arts Festival. 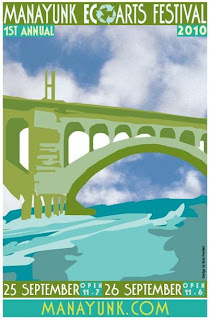 Destination Schuylkill River is a NPO whose mission is to celebrate life along the river and to connect communities to the river through planning, programming and projects. The weekend event brings together artists, crafters, green businesses, and ecologically-concerned community groups to share resources and education about green and healthy living and will be a celebration of artistic, sustainable, and local green initiatives. Manayunk is located a few miles west of Center City, Philadelphia. The Manayunk Canal is part of the Schuylkill River Trail and is designated as a National Historic District. Once a navigable waterway for industrial cargo, the Canal was completed in 1818 and runs for several miles adjacent to banks of the Schuylkill. The river ends its 128-mile journey in Philadelphia, passing through East Falls and Manayunk before emptying into the Delaware. A recently restored towpath on the banks of the canal is the site for five artist’s projects that address issues of sustainability. For some background history of the site - in papers dated 1686 between William Penn and the Lenni-Lenape, the Lenape referred to the Schuylkill River as "Manaiung", their word for river, which literally translates as "place to drink". As fate would have it, this once industrial mill town has become a trendy bar and restaurant destination.Early settlers farmed the land above the hills of Manayunk, and the abundance of natural resources and the Industrial Revolution spurred development of the community. Along the Schuylkill mills sprung up with products as varied as cloth, paper, gunpowder, lumber, milled wheat and corn, and pressed oil from flax. The Schuylkill Navigation Company Canal provided power to the mills along the river and allowed coal to be transported to the steam engines of Philadelphia from a hundred miles upstream. 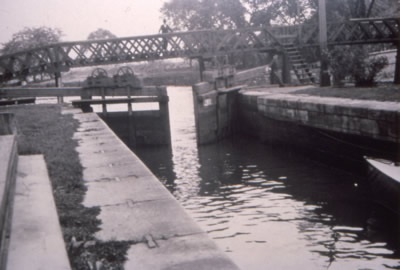 The original towpath was the path used by mules as they pulled canal boats carrying coal and passengers through the water. As a part of Pennsylvania’s earliest slackwater canal system, the original navigation system was a 108-mile series of dams, locks, slackwater and canal segments created to bring coal from Schuylkill County to Philadelphia. Today, the Canal is no longer in use for industry, most of the mills have closed and the city has eventual plans to open the locks and revitalize the water system.The original mule path has been restored for pedestrians and bicyclers to become part of a river greenway system that stretches for miles. Destination Schuylkill with funding from the William Penn foundation asked ecoartspace to invite several artists to create temporary site-specific works along the canal for the festival. Wisconsin based artist Roy Staab spent over two weeks working at the site. First he carefully selected the best location along the Canal where his ephemeral sculpture would be most visible, while at the same time protected from strong winds. 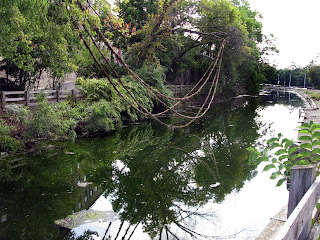 He chose to work between two trees whose branches overhang the water, and in between two bridges so that visitors would have different perspectives for viewing the work. He then set out to find wild plants nearby that he harvests in order to create the lines to make his sculpture. He used invasives such as Japanese Knotweed and Purple Loosestrife which were both flowering and actually quite beautiful, (though no one wants these invasive and fast spreading plants - so it was great that he could make use of them.) Roy also used Goldenrod and other native plants. He then created 4 long lines using a weaving and knotting procedure with biodegradable sisal rope. The lines measure approximately 180 ft long in length and suspend 20 ft from the trees. He titled the work, "Suspended Between the Living and the Dead" referring to the two trees being used as his support. Roy mostly worked alone but he had a few college interns and great support from Destination Schuylkill and the Manayunk Development Corporation staff, in particular, board member Garrett Elwood spent a lot of time on the water. Roy entertained neighbors in the community and got a lot of attention, both positive and negative (local fisherman were not happy). However, mostly the town appreciated having a world traveler like Roy working in their midst. He has created ephemeral installations such as this one around the world for the past 30 years in the U.S., Europe, South America and Asia. His works may last days or a couple of weeks, or months depending on weather and the forces of nature. 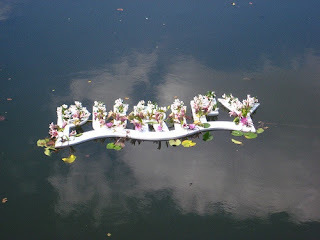 Chrysanne Stathacos traveled to Philadelphia from Toronto to create an 8ft wooden flower poem which she floated on the Manayunk Canal. 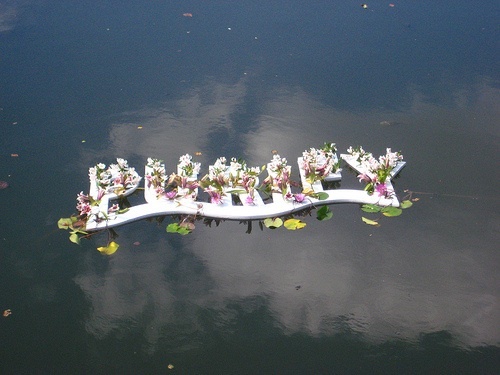 For the past several weeks she has been researching water plants such as Lilies and Lotus Flowers to determine which plants will be best to tag a ride in her floating sculpture, which spells the word PURIFY. She chose this word as a reminder of the importance of wetlands and clean water, and that we can all do our part to help heal the environment. Chrysanne is a multi-media artist whose artistic concerns intersect with spirituality and a communion with the natural world. Her art is influenced by Eastern and Western traditions and she works to connect indigenous ritual to contemporary art. 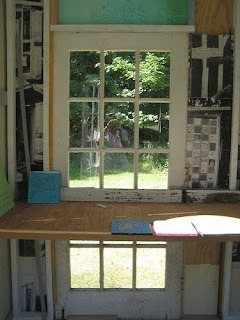 Simon Draper in 2008. ecoartspace has worked with HFA on several previous projects including last summer in the exhibition Down to Earth at the Schuylkill Center for Environmental Education. 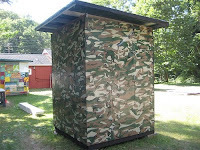 One of HFA’s studio/shed structures was located in a small park in between the Canal and Main St. Parts of this shed were previously used at SCEE, so they have a small travel footprint. The sheds are comprised of recycled material, old lumber, windows and doors and are used by artists as studio spaces (each only six by six feet) both inside and out to examine how they might redefine their creative space, needs and process. The Manayunk HFA shed was open during the two day Festival, artists Simon Draper, Todd Sargood and others were on site for visitors to engage with and participate in the making of art. Women’s Work by NYC performance artist Chere Krakovsky was an extension of her recent Clothesline performance held at Solar One, overlooking NYC’s East River. This is her third performance piece in Philadelphia, following her 2008 work, The Neighbors Next Door at International House at UPenn. All of Chere’s works are situated where the everyday and the creative co-exist. 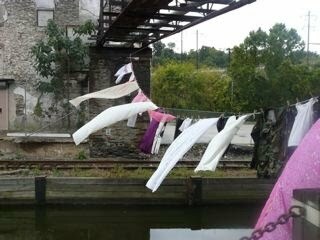 She hung a clothesline along the Manayunk Canal to address issues of energy conservation, domesticity and traditional women’s work. Looking back to her own grandmother, Chere reminds of a not too distant past where wind and sun power were harnessed to dry the laundry. 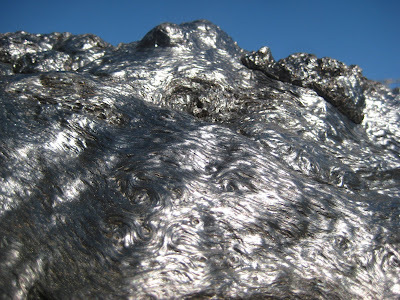 The work asks us to reflect on our over-consumption of energy in a time of economic decline. Chere has invited the community to participate by bringing an item of clothing that will be hung on the clothesline. RAIR (Recycled Artist-In-Residency) is an exciting, new non-profit in Philadelphia located within a construction and industrial materials recycling facility. Initiated by Fern Gookin, a recent graduate from Philadelphia University’s Sustainable Design Program, RAIR’s mission is to create awareness about environmental issues by encouraging creative ways to divert wastefrom landfills. 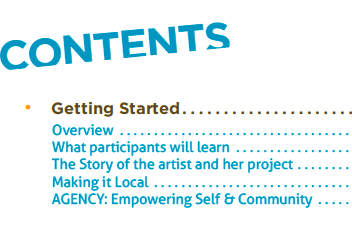 RAIR works to bring art and sustainability together through an artist-in-residency program. RAIR currently has two artists piloting the program, Billy Blaise Dufala and Machele Nettles, and they were located on Main Street in Manayunk exhibiting their works and hosting a kids art making project. The Manayunk Eco Arts Festival is a joint effort of the Manayunk Development Corporation and Destination Schuylkill River funded by the William Penn Foundation. I recently attended the opening for Remediate/Re-vision: Public Artists Engaging the Environment at Wave Hill in the Bronx. The exhibition showcases artists’ projects that raise awareness about issues concerning watershed fragility, industrial and natural history, personal responsibility, and ecological balance. 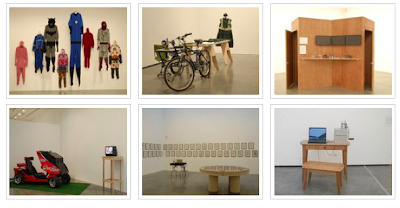 Artists in the exhibition include Lillian Ball, Jackie Brookner, Mags Harries and Lajos Heder, Natalie Jeremijenko, Patricia Johanson, Lorna Jordan, Matthew Mazzotta, Eve Mosher, Buster Simpson, Susan Leibovitz Steinman, Suzanne Lacy, and Yutaka Kobayashi, George Trakas and Mierle Laderman Ukeles. The exhibition design provides each artist or artist team with a large wall presentation including text, photographic images, documentation and in some cases videos. It's graphically crisp and clear to look at if somewhat bookish. Curator Jennifer McGregor explained to me that the entire exhibition will be very easy to travel as everything is designed on computer files that can be sent without shipping anything. 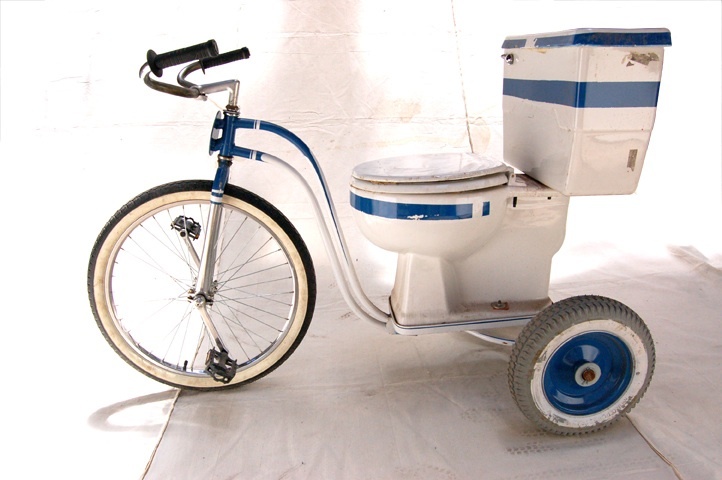 Nice to see a "green" show with a green concept for travel! This exhibition focuses on current or recently completed projects with a few exceptions. George Trakas spoke about his Newton Creek Nature Walk in Greenpoint, Brooklyn. 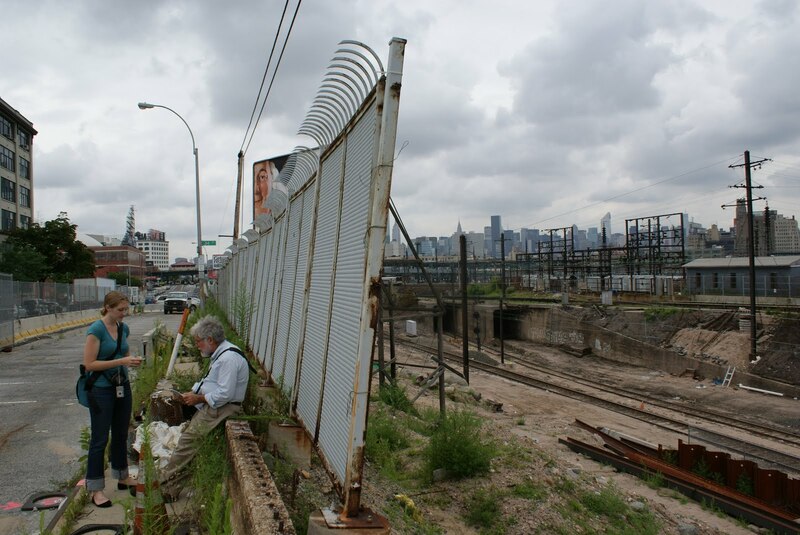 He created public access to a long-inaccessible shoreline surrounding the Newtown Creek Wastewater Treatment Plant. Trakas' Nature Walk provides an interpretive frame on its surroundings. 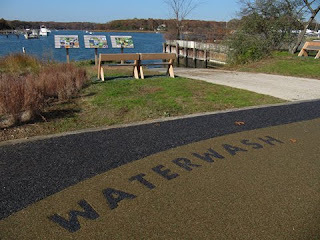 From staged granite steps to the water’s edge, visitors can sit on a series of getdowns perforating the bulkhead along the Whale Creek tributary. Mags Harries and Lajos Héder, presented Terra Fugit. This project provided an opportunity for the artists to fully design a section of a new regional park in a fast growing, completely new community in Miramar, South Florida. The design explores the nature of the land, time, and human occupation and development on a 200-acre site located near the Everglades. 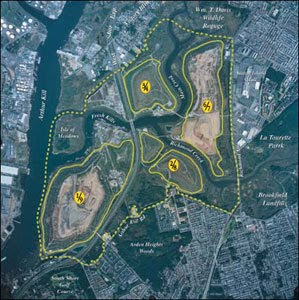 This area was still open wetlands in the late 90’s and the waterway, excavated to obtain fill material for raising the grade of the surrounding site, has become the central focus of the park. Lorna Jordan, spoke about her project Terraced Cascade in Scottsdale, Arizona. The work consists of a series of stepped, rib-like terraces and vertebrae-like cascades. Water flows down the cascade in a metaphorical gesture that suggests water rolling down a human spine—a miniature watershed allows storm water to supplement the irrigation system. 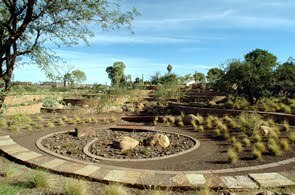 Planted terraces provide a demonstration of desert-conscious landscaping and the sculptural garden is an abstraction of the human body in the desert landscape. The artwork’s objective of creatively using storm water is sensitive to the need for harvesting, using and reusing water in an otherwise dry region. Jackie Brookner presented her recent project, Veden Taika, The Magic of Water. The work consists of three floating islands in the Halikonlahti Bird Pools in Salo, Finland. The largest island provides nesting sites for birds and the two smaller islands contain plants for phytoremediation, These islands are vegetated with plants specially chosen to remove pollutants from the water and sediments. During the warm months a cloud of mist, powered by wind, will rise up over the islands several times a day. 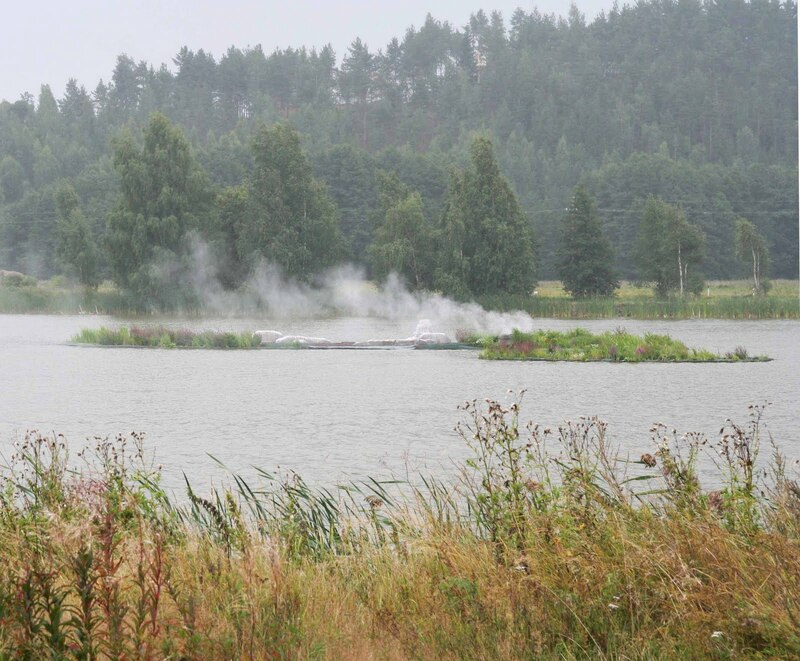 Wind powered aerators beneath the islands oxygenate the water and stimulate microbial processes on the plant roots. 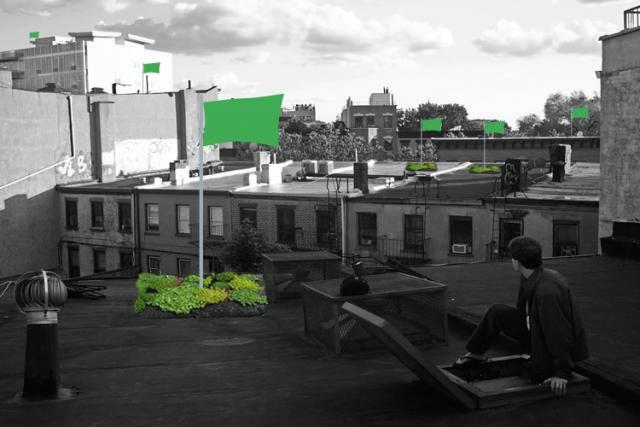 Eve Mosher, then spoke about her current project, Seeding the City, in NYC which utilizes social networking to site urban interventions in the form of green roof modules. It capitalizes on community building to introduce urban environmental issues and remediation tools. The modules and their accompanying flags and street level signage will track the growth of the network throughout the neighborhood. Online resources will include mapping of the project, tools for tracking local urban heat island effect and resources to recreate the project worldwide. 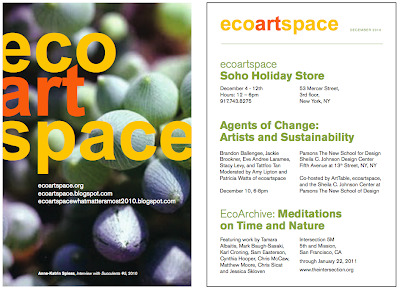 ecoartspace participated in Seeding the City last fall as part of the exhibition Down to Earth at 53 Mercer St, NYC, we had four of the original planted roof modules on view. Last, but far from least, Mierle Laderman Ukeles spoke eloquently about her ongoing decades of work with the Fresh Kills Landfill in Staten Island, NY. As the official artist in residence of the NYC Dept. of Sanitation, Mierle has been involved from the beginning in the plan to transform Fresh Kills Landfill into a public park. The park will eventually have four sections, and will be twice the size of Central Park. Mierle suggested that it might take another 20 - 30 years before the park is completed. (In the same breath she mentioned that she is now 70 yrs old). The average time period for all of the works represented in Remediate/Revision from inception to completion was 10 years. 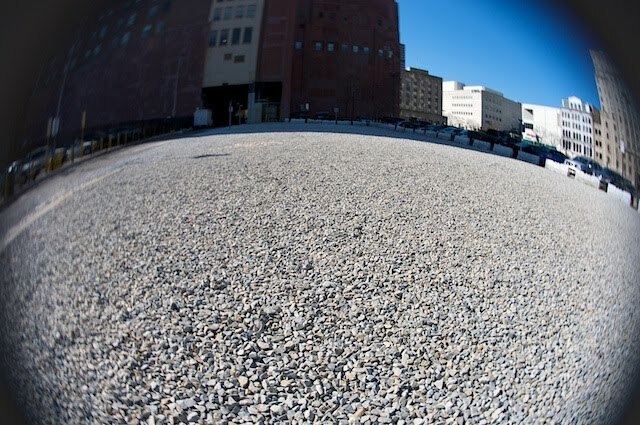 Mierle is an inspiration in her dedication and perseverance as are all of the artists in this exhibition that take on large-scale public remediation projects as art. The museum furnishes the frames (18"x24"); If selected, just send your digital print(s) in a cardboard tube! Since moving to Garrison, NY from NYC in 2001 I’ve organized museum, gallery and sculpture park exhibitions that have taken place in towns up and down the Hudson including Yonkers, Nyack, Beacon, New Paltz and Ghent - but collaborating with the Habitat for Artists (HFA) group has been my first opportunity to work on an exciting project right near my home. 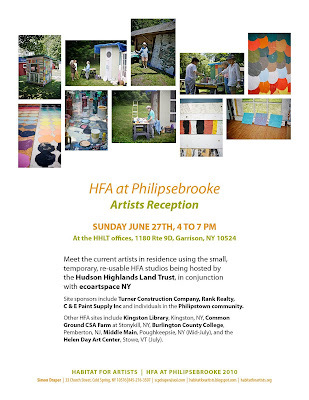 HFA was initiated in the summer of 2008 and came out of the work of Cold Spring-based artist Simon Draper. 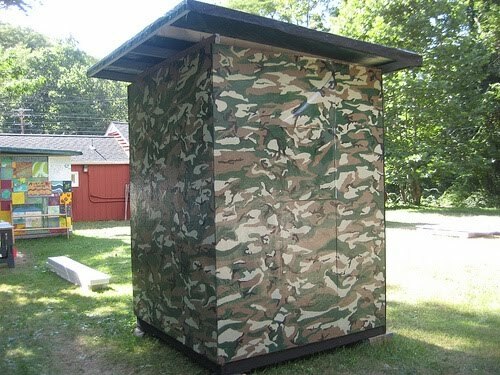 Initially he built a series of small shed structures that were placed at Spire Studios in Beacon, NY. 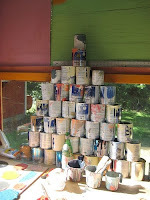 They were made from used and recycled material, old lumber, windows and doors and even unfinished art works. 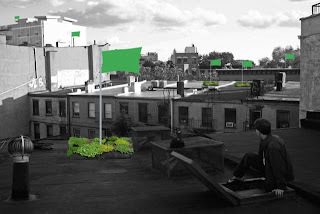 Draper invited several artists to participate in the project, which then became known as Habitat for Artists. 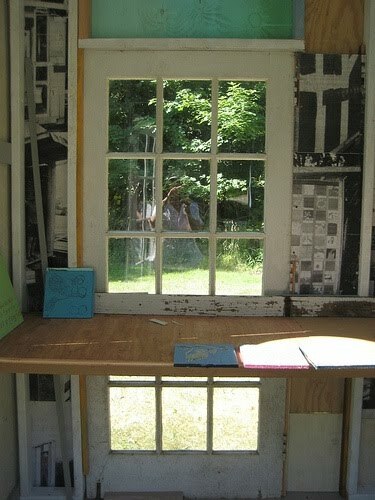 The artists took up residency and created small studio spaces working both in and outside the structures. They were asked to examine how they might redefine their creative space, needs and process. These small studios, each only six by six feet, become an intimate work space for the artist - but also act as a metaphor for viewers to contemplate how much space we really need in our own homes. HOW MUCH? HOW LITTLE? THE SPACE TO CREATE is the question HFA poses. In other words - how much more creative could we be as a culture if we used less materials, energy and land? In the two years since it began, HFA in collaboration with ecoartspace has partnered with over twenty organizations and engaged with over fifty artists in various locations. 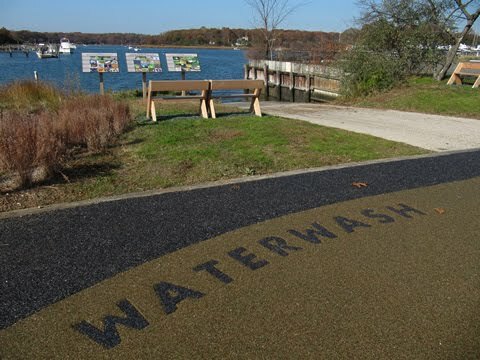 Completed projects have taken place in Rhinebeck at Poet’s Walk with Scenic Hudson, in the town of New Paltz and at the SUNY camp us, Kingston, Workspace Harlem, Urban Go Green NYC, Chashama in Times Square and Solar One on the East River Park, NYC. Aside from the current project at the Hudson Highlands Land Trust in Garrison there are also new works installed at Common Ground Farm CSA at Stony Kill, NY Burlington Community College in NJ and coming this September in Philadelphia along the Schuylkill River with the Destination Schuylkill Project. 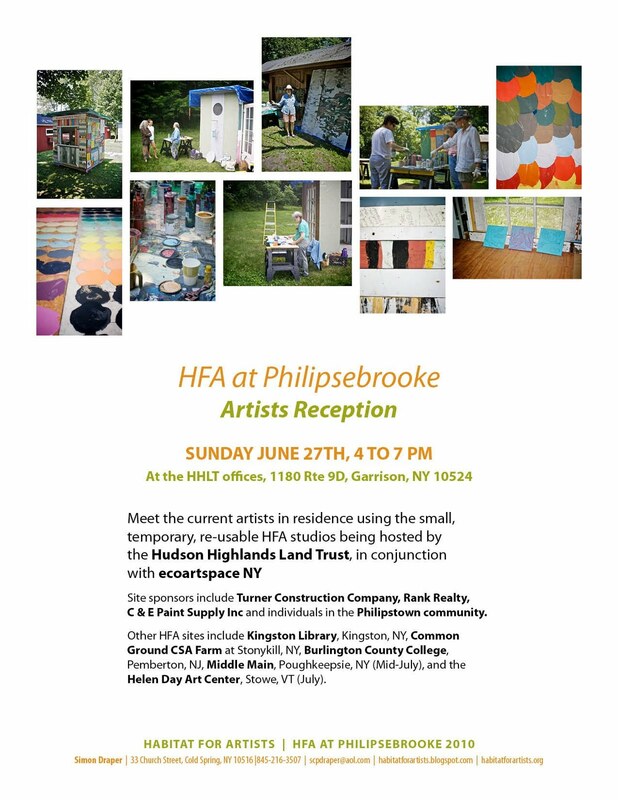 Currently there are several new HFA artists working in studios hosted by the Hudson Highland Land Trust in Garrison, NY at their site at Philipsebrooke. Artists will rotate over the course of the summer and include: Susan English, Sheilah Rechtschaffer, Carol Flaitz, Michael Natiello, Sarah Haviland, Marnie Hillsley, Kit Burke Smithe, Christopher Manning, Carla Goldberg, Dionis Ortiz, Todd Sargood and Simon Draper. River of Words, a Garrison School based group of students hosted by Irene O’Garden and Lisa Mechaley have already created artworks for the HHLT site. Images: top Sarah Haviland, bottom left Sheilah Rechtschaffer, bottom right Susan English. Habitat For Artists seeks to engage the artist with their community and to provide the opportunity to create a more dynamic relationship and role for the artist in that community. The Hudson Highlands Land Trust is a community-based organization devoted to protecting the natural resources, rural character, and scenic beauty of the Hudson Highlands in NY State’s Hudson Valley.